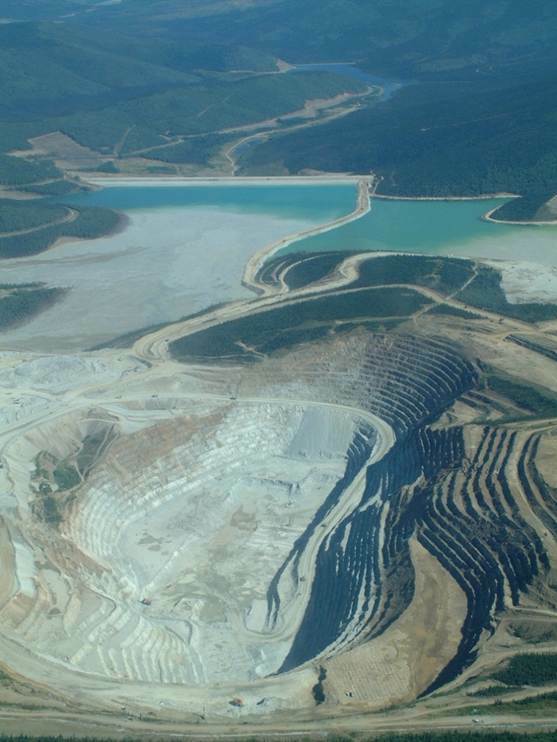 Large Mines - Save Tangle Lakes! Mining today is a massive industry. 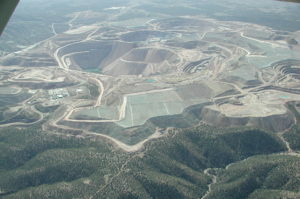 Most major mines in Alaska are owned by foreign corporations. 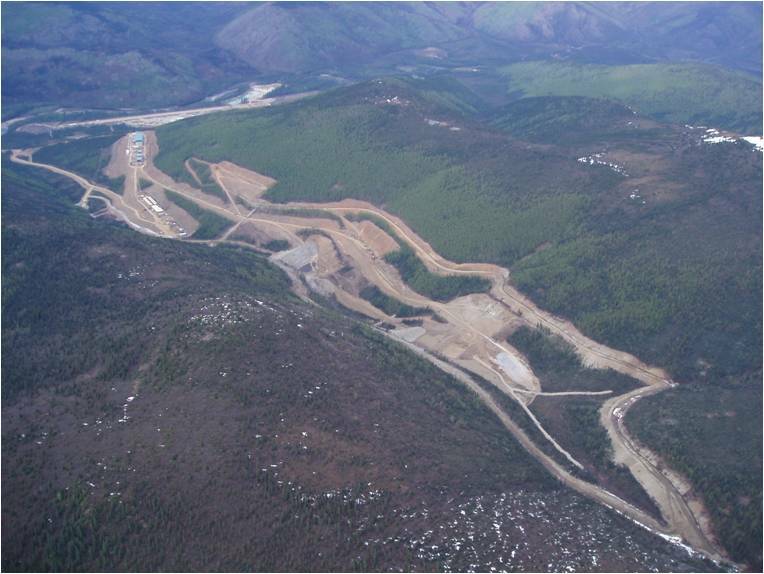 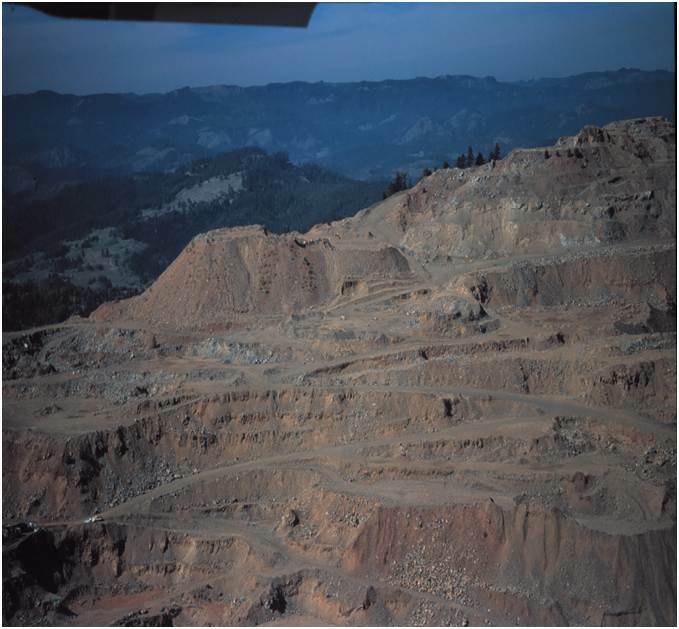 Open pit mines (strip mines) remove the natural features of the land. 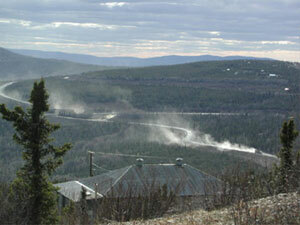 … and tailing stacks and ponds. 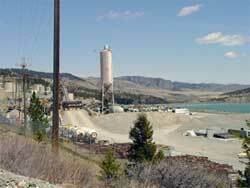 Transmission lines and access roads extend a mine’s footprint. 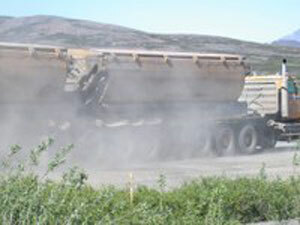 Health concerns include toxic dust escaping from ore trucks. 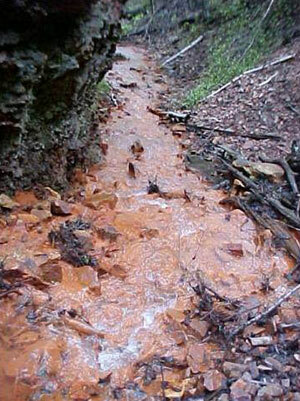 Drainage from mines can contain toxic substances, some of which, like this, must be treated forever. 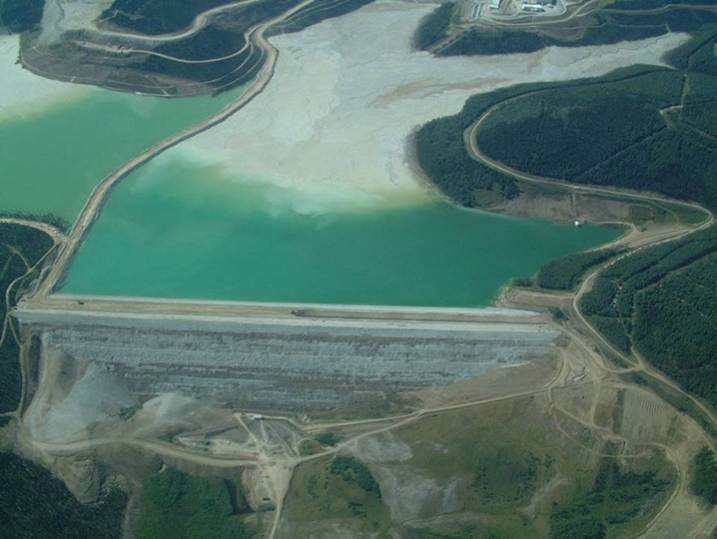 Contents from a tailings pond is pictured going down the Hazeltine Creek into Quesnel Lake near the town of Likely, B.C. 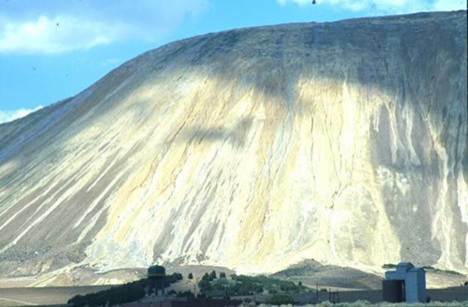 on August 5, 2014. 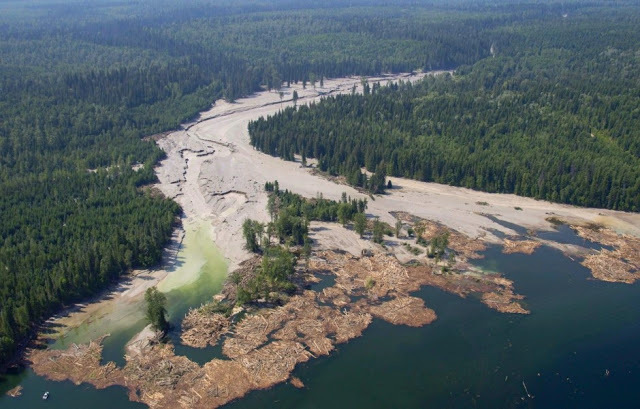 Containment dams can fail, with disastrous consequences for fish, wildlife, and humans.